Allow users to have checkbox selection for list membership. 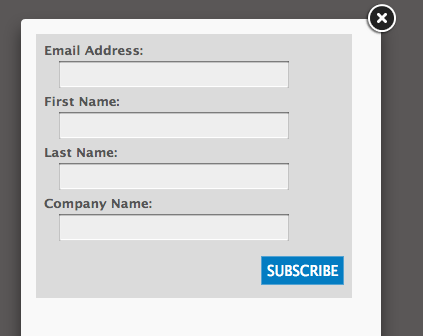 Now easily set your subscribe to open in a nice pop-up overlay on your website or blog. With simple options in the "Settings" area, you can define an image or text to use to trigger the box to display. Customize more with more colors in our custom color pallete. It stinks when things go wrong. But when they do, you can now customize the language displayed. You will find this in your "Settings" area when editing a subscribe box. Get instant feedback. ccQuick can email you immediately upon new subscriptions. 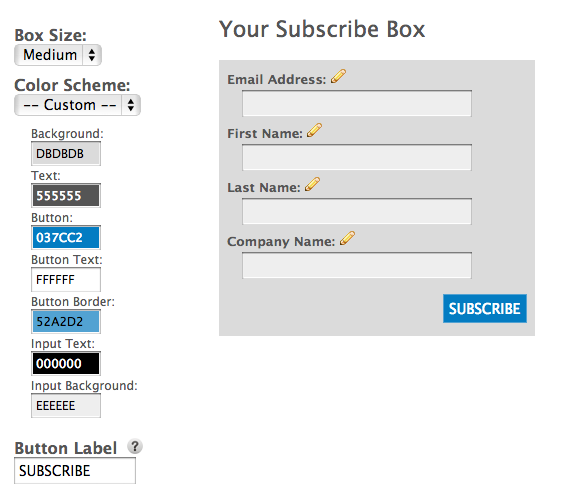 Simply enter your email address in the "Settings" area when editing a subscribe box. For you Stripe™ users, collecting payment with ccQuick is now easy and "quick". In the My Account area, click the button to setup your connection. Once connected, you will see the Stripe™ area when editing a subscribe box. ccQuick is not affiliated with Constant Contact. ccQuick is providing an add-on solution intending to enhance the Constant Contact experience.